ANSWER: Oh yes. We seem to have adopted whatever they did as traditions as well. For example, there are nuns in the Catholic Church who take vows of chastity and are in theory married to God. The Romans had the very same tradition known as Vestal Virgins. 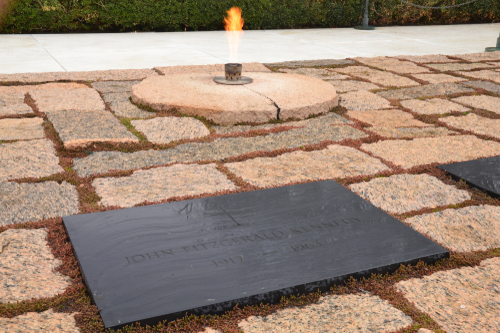 They kept the eternal flame burning, which we see at John F. Kennedy’s grave as well, symbolizing his memory will live on. 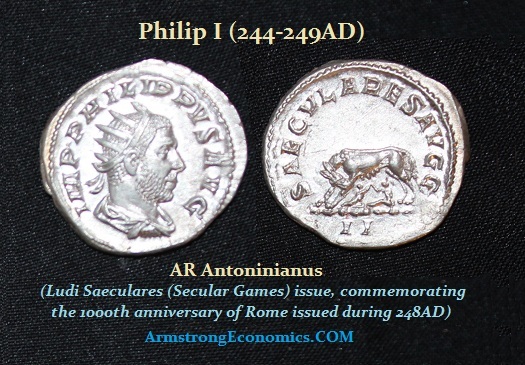 Pictured above is a silver Antoninianus issued during 248 AD by the then Emperor Philip I (244-249 AD) celebrating the 1,000th year anniversary of the founding of Rome. 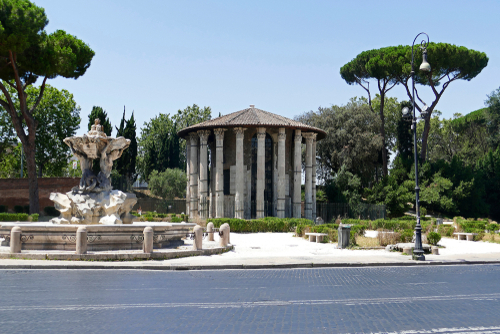 We have signed the final contract with the hotel in Rome for this year’s Spring WEC. 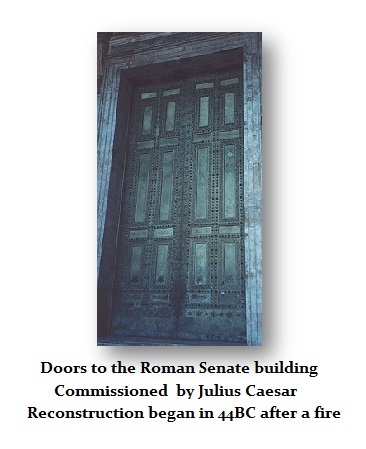 Those attending will receive a guide to Rome where you can even find the original doors to the Roman Senate commission by Julius Caesar that is rarely mentioned in any guidebook. Of course, I have probably been to Rome more than 100 times and I have still not visited everything. It really is the Eternal City. For the religious tourist, there is even the Scala Sancta, or Holy Stairs, that are a set of 28 white marble steps which were the steps leading up to the praetorium of Pontius Pilate in Jerusalem on where Jesus Christ walked on his way to trial. 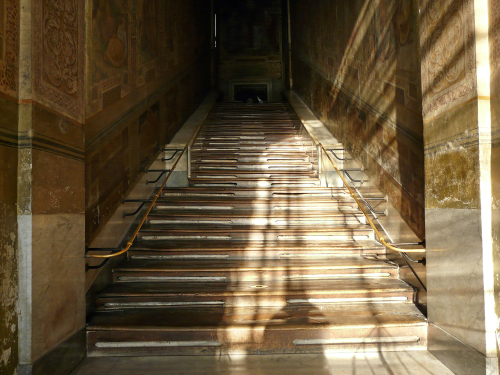 The stairs reputedly were brought to Rome by St. Helena, Constantine’s mother, during the fourth century. Rome will prove to be an interesting venue for the WEC for it will also be in the heart of the political elections for the EU Parliament.